So Young continues trying to find Nam Chul Soon without her senior detectives' help. 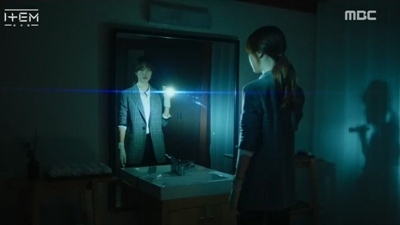 Following traces and Nam Chul Soon's behavior patterns, she ends up in Nam Chul Soon's vacation house and finds something. Meanwhile, Se Hwang tries to come up with a scheme to bring back the item he has lost. 3년 만의 서울 복귀를 앞둔 에이스 검사 강곤, 폭행 사건 용의자를 뒤쫓던 중 기이한 힘을 목격하게 되는데.. 의문의 팔찌를 낀 남자의 정체는?